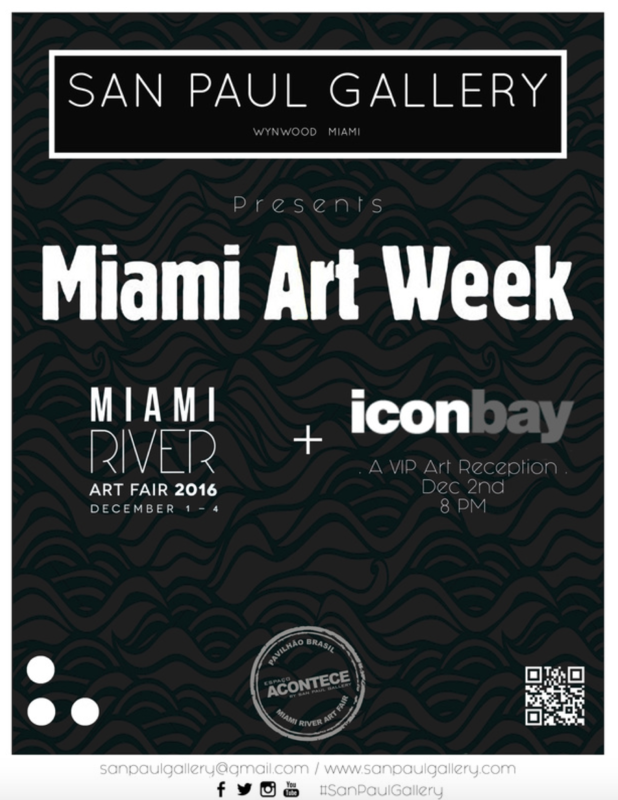 Please join us at THE MIAMI ART RIVER FAIR (Dec 1 – 4), and at THE ICON BAY ART RECEPTION (Dec 1-4), as San Paul Gallery features a diverse collection of Paintings, Drawings, Time-Based Art, and Installations by internationally praised artists Cranio, Carlos Alves, Jonatas Chimen, Dana Blickensderfer, and many others. 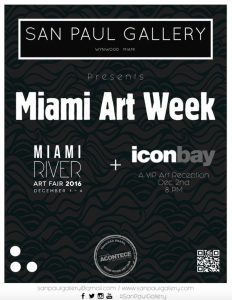 The Art selection will include Street, Minimalism, Realism, and Abstract Expressionism, and will be specially curated by Mario Daniel Alvarado and Briana Lutzi. Each of the shows will focus on granting the viewer a true BASEL experience, replete with opportunities for interaction with the artists and their process of creation. 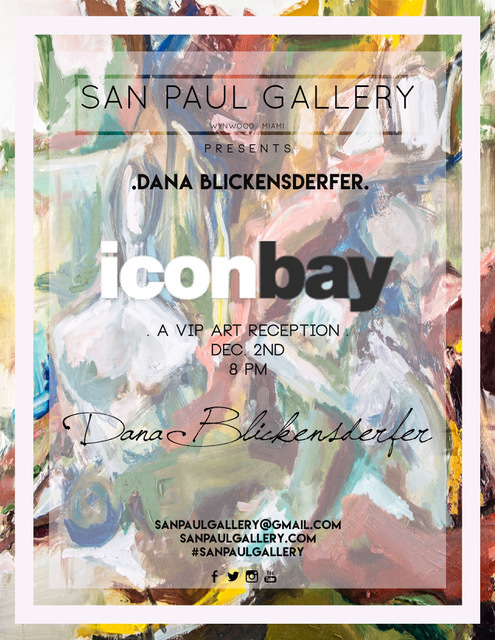 San Paul Gallery and Dana Blickensderfer present … INDIVI[DUALITY]. 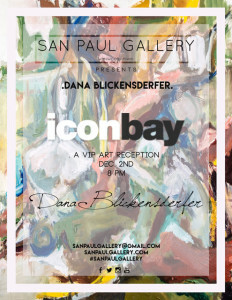 Dana Blickensderfer’s paintings and works are the materialization of her experience of the world. The duality of conversation is presented between herself, the viewer and her environment. Much of her recent paintings present a dialogue between the past and present, the private and the public, the personal and the universal. This conversation of her individuality comes forth as a juxtaposition in her work. It is the ruminations of thought and commentary on culture and society that Dana expresses with her viewer. 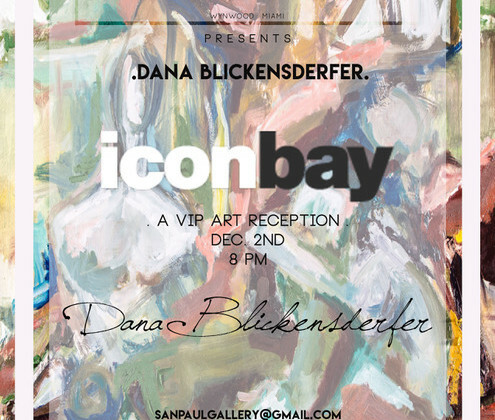 Dana Blickensderfer began her artistic career while working and living in New York City. She is also the founder of Provoke Art and the co-founder of IBoss Advertising. She has lived and worked in New York City and Florida. Most recently, she opened the base of her artistic studio in St Petersburg (FL), where she continues to develop and create new paintings and drawings. Each canvas combines aspects of drawing, painting, collage and printmaking, all integrated. The large scaled canvases illustrate Blickensderfer’s ongoing interest in painting and mark-making while extending her personal lexicon to a wide range of references, including Egyptian art, Arabic symbolism and European modernist painting. Blickensderfer becomes the bridge between the past and the present, the private and the public, the personal and the universal. Earlier this year, her solo exhibition, held at ArtExpo New York, presented a distinctive series of 100 drawings questioning notions of identity and representation. In 2013, Blickensderfer was the recipient of the Milton and Sally Avery Scholarship Award to study at the New York Studio School. A finalist of the Olympics Art Competition in Orlando (Florida) and part of the Celebration of the Arts Exhibition curated by the Bay Area Museums directors in Tampa. Most recently, Blickensderfer was selected as the featured artists in the Panach Vue Magazine for February Edition.